Betty, the newest streetcar in the McKinney Avenue Trolley system, at the Turntable getting ready to go the other way. 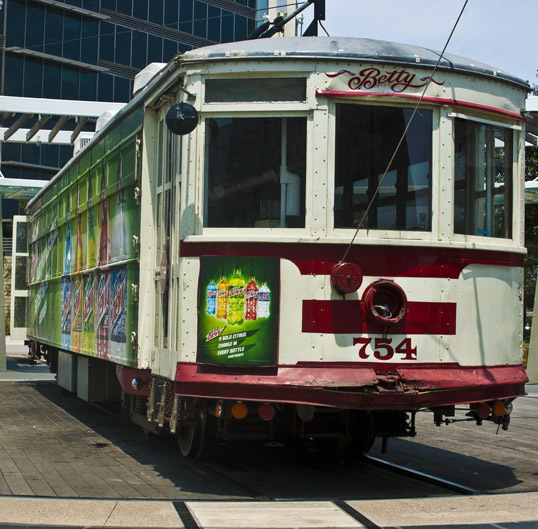 I have always had a soft spot for streetcars – especially both the famous New Orleans version and the unknown Dallas version – The McKinney Avenue Trolleys. I’ve written about the trolley line before – and its individual cars – The Green Dragon, Petunia, Rosie, and Matilda. The trolley line has expanded and has become very popular since the opening of Klyde Warren Park. Last week, after I finished a tour of the underground tunnels beneath downtown, I walked over to Klyde Warren for a Food Truck lunch then decided to catch the streetcar for a ride to the turntable next to the CityPlace DART station. I was lucky in that the car that I caught was Betty – a new car that I had never ridden before. Life if made of tiny thrills. The Conductor driving Betty along McKinney Avenue, Dallas, Texas. 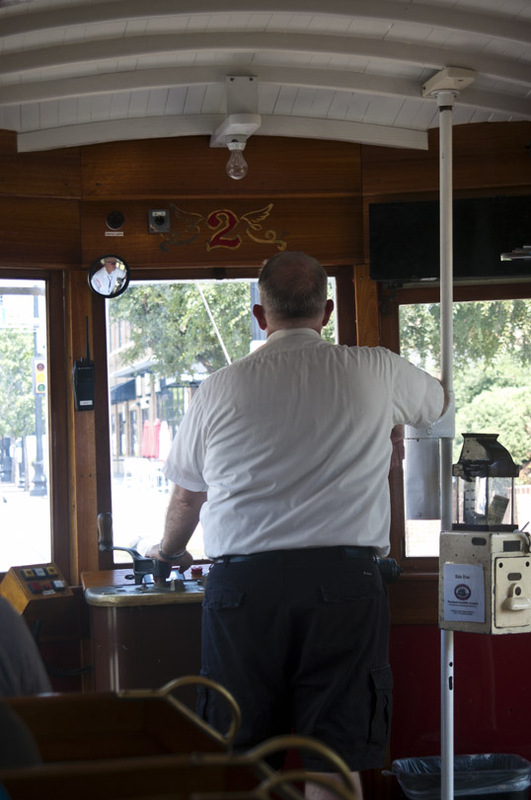 This entry was posted in Photography and tagged Dallas, mckinney, streetcar, Texas, transportation, trolley. Bookmark the permalink.